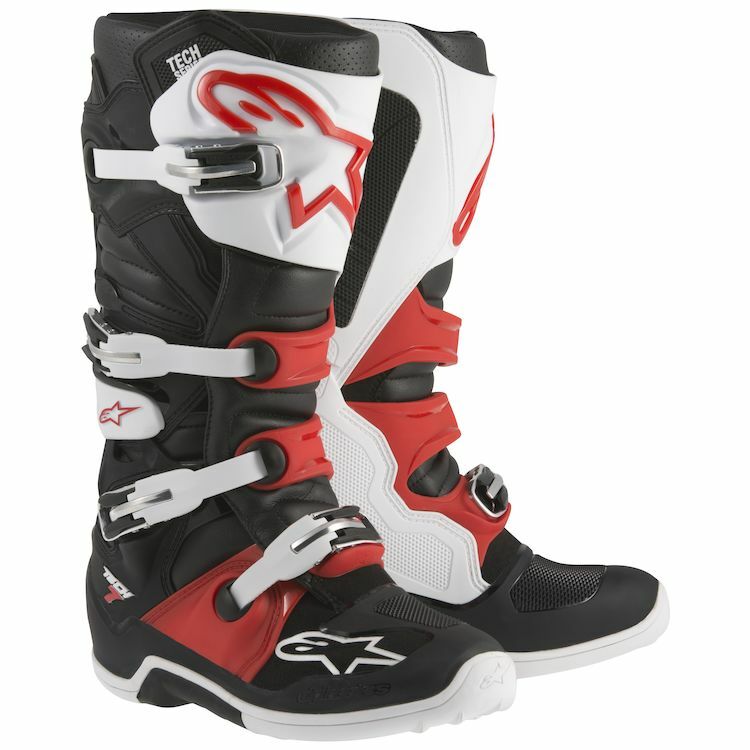 The revolutionized Alpinestars Tech 7 Boots incorporate innovative materials and technology in a completely new design for a lighter, more anatomically profiled performer. This CE certified boot promotes core stability and flex via a biomechanical pivot while offering excellent ankle protection. The boot chassis has been designed to give complete feel and optimized interaction with bike controls, while the innovative buckle system allows easy, precise closure. Note: The logo area on toe box of Orange Boot is black with orange logo, not white with orange logo. They are great boots required almost no break in but they are very heavy compared to my old high points.